Have a go at your own two-sentence story in the comments. Thank you. I get the feeling you’re a bit of a super-hero girl. 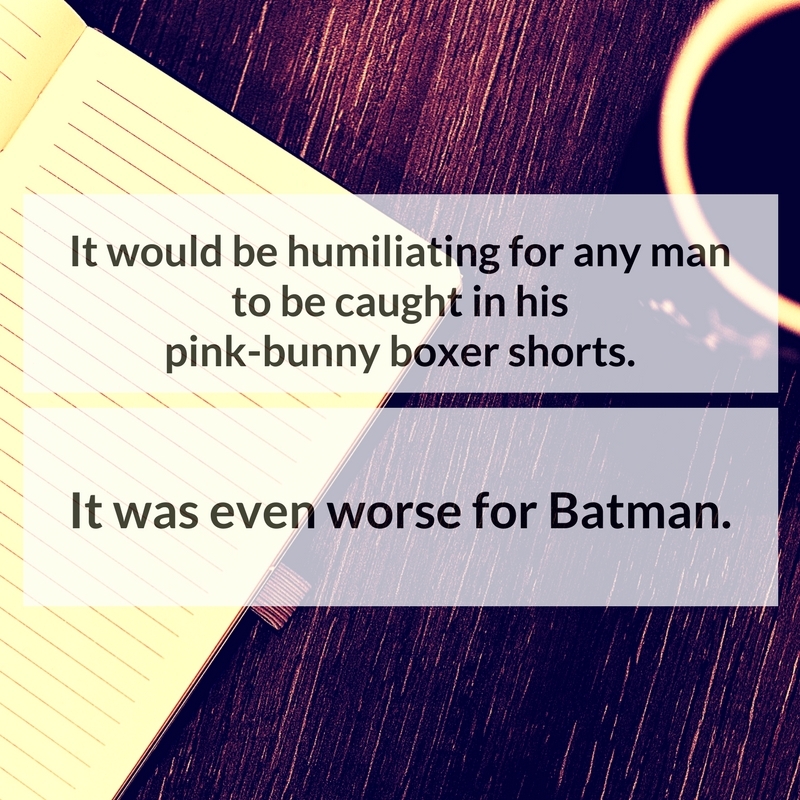 I can imagine the mileage the Joker would get out of Batman in his bunny-boxers.